BECTU in Association with Creative Skillset’s Film Skills Levy Fund have devised a programme of training for Production Management aimed at Feature Film production staff. The modules will take place over five Saturdays 11th, 18th November 2017 and 2nd, 9th and 16th December 2017. Manchester – 11th, 18th November and 2nd, 9th and 16th December – Space Studios Manchester, Vaughn Street, Manchester. M12 5BT. Full descriptions of the modules can be found here. Please be aware that this course is aimed at experienced active professionals within the film industry looking to step up or across. Please only express your interest in a place if you have IMDb credits for at least two features in the following fields or above: Production Coordinator, Assistant Location / Unit Manager, Payroll or 1st Assistant Accountant. To express interest in this course, and to check your eligibility, complete the form here in bookings, and show your recent Production Credits, and a link to your IMDb if you have one. For those travelling from outside of Greater Manchester to attend the course, we now have a small travel bursary, which you can apply for on acceptance to book the training. For anyone based in the North, we will be running this training course later this year with the same criteria, as identified above. 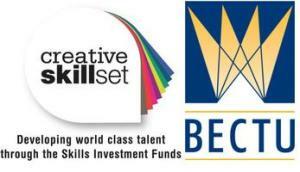 Please email Lauren at Creative Skillset, laurengraceb@creativeskillset.org, if you have any queries on your criteria or you have a special case. Once approved you will be provided with the booking links to directly book the modules you require.